Who can enter this Festival? The Festival is open to all school concert, brass, and big bands, string ensembles and orchestras from across the planet. We have events for concert bands/wind bands, brass bands, big bands, string ensembles and orchestras of all ability levels – from those just starting out to the most accomplished ensembles. While most of our ensembles come from the Sydney metropolitan area we also have groups from regional NSW, as well as interstate and international visitors. If your school is joining us from out of Sydney we are more than happy to ensure your trip is a great success by assisting in providing access to workshops, performance opportunities and general tourist advice. Is this event a competition? No, the Festival is not competitive. Our primary aim is to provide an educational and inspirational event allowing the students to showcase their musical talents. Music Directors are free to choose the event level they believe will best suit their ensemble, based on the difficulty of music they are currently playing. All ensembles will receive an audio adjudication and a GOLD, SILVER or BRONZE award for the category in which they are performing. Is there a set work or test piece we have to play? There are no set works or test pieces required at the ASBOF. 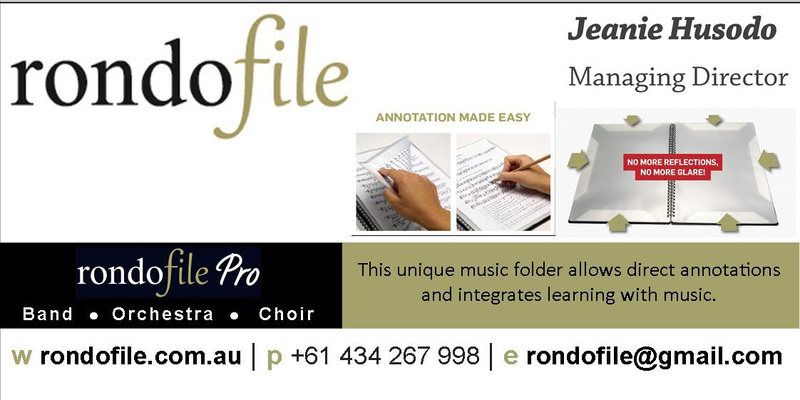 All ensembles are required to present a varied program which should include a slow melody/chorale/hymn/lyric piece. For more advanced groups this might be a slow movement of a multi-movement piece. Arranged by an Australian or a resident whose work has largely been completed in Australia. Please note: this does not include works which have only had parts re-scored for alternative instrumentation. We have an EARLY BIRD entry rate and a GENERAL ENTRY rate. Since 2016 the ASBOF has implemented a sliding scale of entry fees for the EARLYBIRD RATE, calculated on the proportion of time an ensemble has to perform (i.e. the longer the performance time, the higher the entry fee). All General Entry rates are the same. For a full list fees and cut-off dates click the link below. Please note: the ASBOF is a not-for-profit event. All revenue raised from entry fees and audience admission fees goes to the running of the Festival and the various programs we conduct throughout the year. What event level should my ensemble enter? Music Directors are free to choose the event level they believe most suits their ensemble. The ASBOF is aware that school ensembles may vary in their ability level from year to year and MDs are free to alter the event level they enter to reflect these changes. As the ASBOF is a non-competitive and educational event, MDs are encouraged to select an event level which will challenge their ensemble, and the individual musicians therein, to continue developing their musical ability. It runs counter to the philosophy of the Festival for MDs to select an event below the ability level of their ensemble in order to ensure a Gold award. While we understand that parental and school executive pressure to achieve a Gold award is a genuine issue, we believe it is far better if these parties are educated as to the true purpose of performing at the Festival, thus adding to the educational value of this musical experience. Click the link to download the current event criteria. Members of the Advisory Board are also available to assist you in making a decision (click link). Can I change the event level after I have entered? If your ensemble improves ahead of your expectations during the year we can certainly enter and adjudicate you at a higher level at the Festival in July/August. Similarly, if you lose players or your program is disrupted, we can move your group to a less challenging event level for your performance and adjudication. Please contact the Festival General Manager to discuss your options. Once your entry has been submitted it can only be withdrawn via the admin system. Contact the Festival General Manager to advise of your withdrawal. What percussion equipment is supplied? A full range of large percussion equipment is supplied and all ensembles are expected to use the equipment unless they seek exemption from the Festival administration prior to the event. The link below takes you to a full list of the equipment supplied and the stage plan for how the gear will be set up on the day. Can tutors or school staff perform with the ensemble at the Festival? It is not permissible for tutors or school staff to play with the ensemble at the Festival. We can, however, make some exceptions for touring groups, and the adjudicator will take this into account when determining the award. If you experience issues with student absences due to prior commitments or sickness it is permissible for you to engage a student from another school to deputise for your players. In this instance the student would be expected to perform in their home school uniform. The General Manager is available to assist you in contacting schools which will be performing on the same day your ensemble is playing. If there is an emergency situation and you are unable to perform without the assistance of tutors/school staff, there is the opportunity to perform for the adjudication only. In this instance the audience would be informed and no award would be presented at the awards ceremony at the conclusion of the event. Please contact the General Manager if you have any questions regarding this policy. We have both EARLYBIRD ENTRY and GENERAL ENTRY cut-off dates. Click on the link below for the cut-off dates and entry fees. What will happen to my ensemble on the day? Parents/students should meet outside the venue at which the school is scheduled to play. All venues have their own warm up room facilities and photographers. Your group should arrive at the venue on or prior to the arrival time published on the ASBOF website. Your group should remain together and you or your ensemble organiser should make yourselves known to the ASBOF Volunteer staff. If there is sufficient time, students and parents should enter the auditorium and listen to the performances of other groups, however, you should try and remain together in the auditorium so that Festival staff can find you. If appropriate, we will attempt to have the official photograph taken before you enter the warm up room. Approximately 20-30 minutes prior to your performance your group will be taken to a warm up room. Students will leave their cases etc. outside; only instruments and music will be taken into the warm up room. Please ensure no valuables are left with the cases. The group will move straight from the warm up room to the stage. After your performance the students will move directly from the stage to the official photography area if this has not already taken place. Students and parents should be encouraged to enter the auditorium and listen to the remainder of the section prior to the adjudication, however, they are free to leave at this stage. An adjudication will take place at the end of each section (or around every 90 minutes for larger sections). Is there a drop off zone for buses? Yes, directly out the front of the main entrance. Click the link below. There are bus stops on either side of High Street, however, due to the ongoing construction of the light rail you are advised to make inquiries closer to the date. 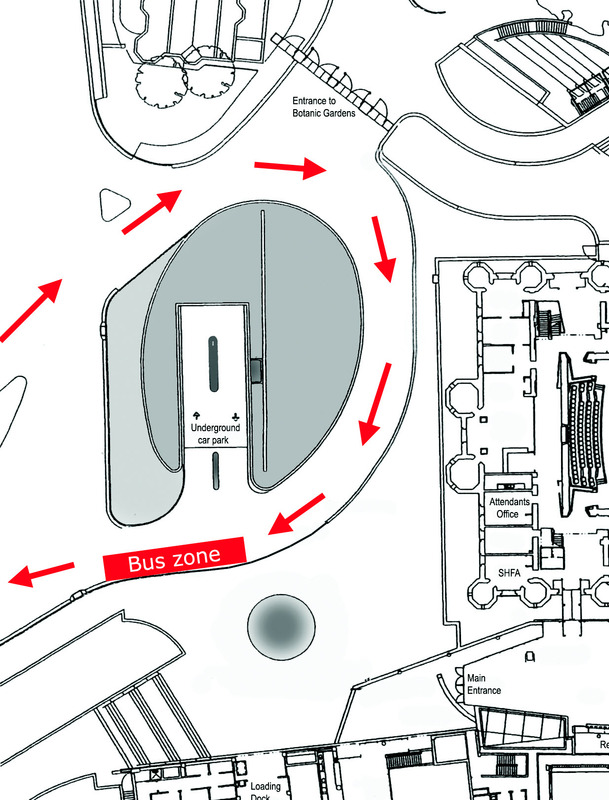 The nearest gate to the Clancy Auditorium is Gate 8 on High St.